The Mission Critical S.02 Baby Carrier plus S.02 Diaper Bag offers an innovative solution for active dads. 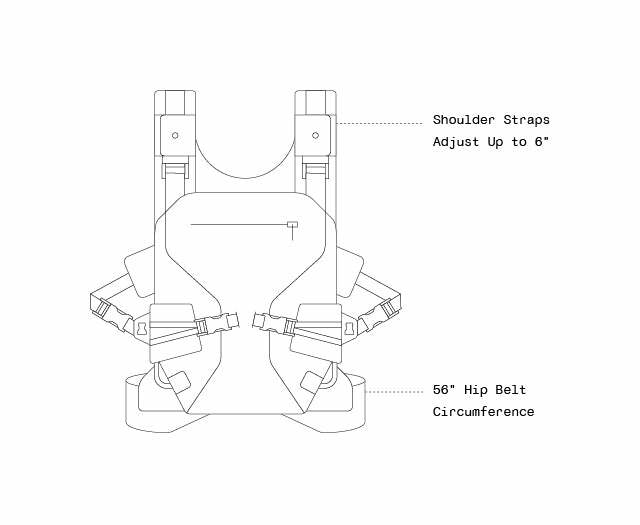 Sleek and customizable, the carrier’s front or back carry options create a system that adapts as your baby grows. The equally versatile messenger style diaper bag organizes everything from diapers, wipes, and spare clothes, to laptop, keys, phone, and a warm or cold beverage. Combine the diaper bag and carrier or use each one separately—either way, you get intuitive features for work or play. Bought the item for a baby shower and the DAD to be was super excited. Mom said it was the only thing he wanted. Order process was easy and it came when they said it would. Front or back carry options are equally comfortable and easy to use, creating a system that adapts s your baby grows. Built in sunshade for when you need it. Connects to integrated Daypacks, Bottle Holders and Accessories to make sure you have access to all the essentials. Depending on your baby's stage of development and direction they are facing, you can widen the seat to support them in the "M" position.